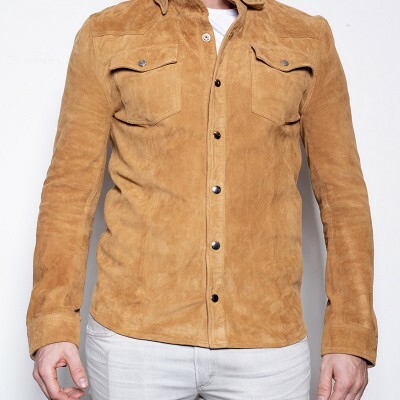 Goosecraft’s Cognac men’s leather shirt is crafted using quality Goat Suede leather. 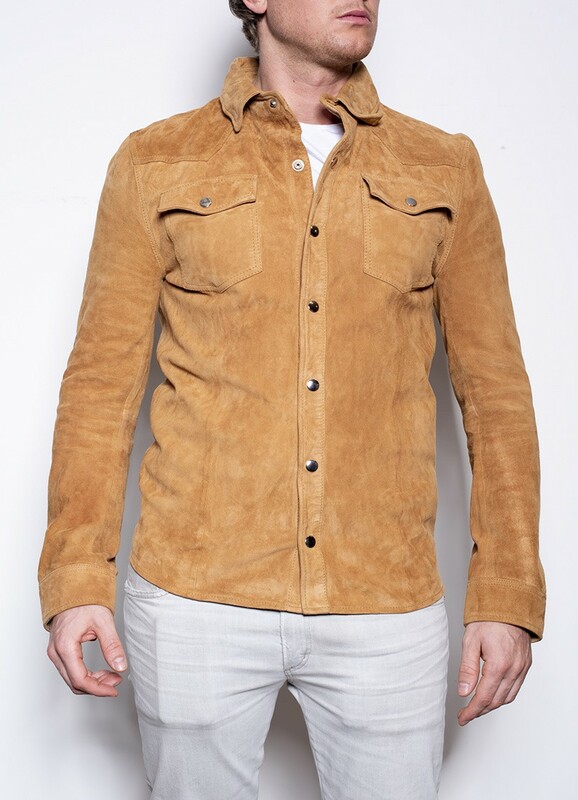 This leather is extremely lightweight and wonderfully soft. The leather has a velvety surface and is vegetable tanned. This sustainable way of tanning is better for the environment. 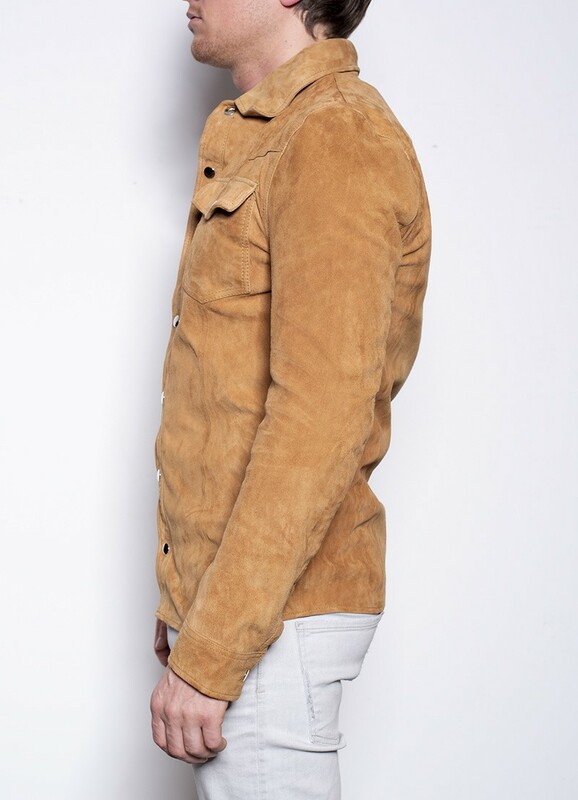 The cognac leather shirt is very distinctive and responds well to the Pure Rebel trend. This trend is all about minimalist forms, clean and sustainable materials and refined natural influences. The leather men’s shirt has polyester sleeve linings, finished with two chest pockets and a press button fastening.